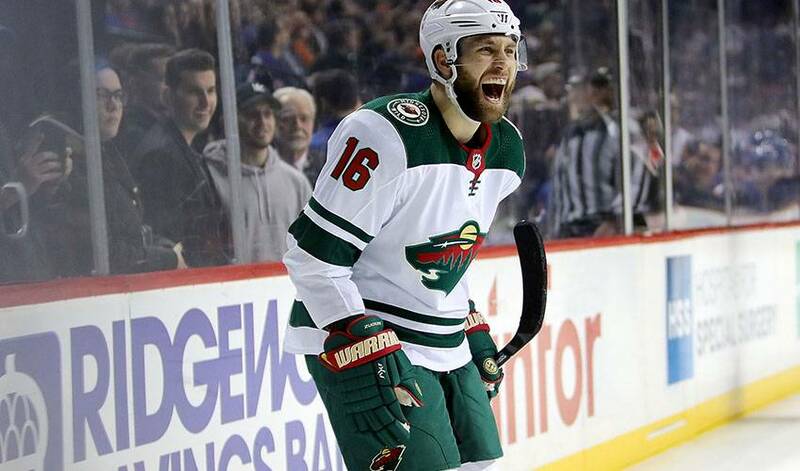 Enhancements to the fringe and commitments to the core have been the story of Fenton's first summer with the Wild, who agreed to terms with left wing Jason Zucker on a five-year, $27.5 million contract Wednesday. The deal came four days after defenceman Matt Dumba signed a five-year, $30 million contract. Both players were restricted free agents. "We've made the playoffs in six straight years. There's certainly an onus on the players, that they have to continue to push the envelope, and I think that's where we are," Fenton said on a conference call with Minnesota reporters. "There's been a couple of guys that didn't necessarily play up to their potential last year, and there's been some guys that have played better. If we can get everybody on the same page, we certainly have a better chance of reaching the ultimate goal of winning the Stanley Cup." Though Zucker went without a goal or an assist in the five-game loss to Winnipeg in the first round of the playoffs, the 26-year-old wasn't one of those underperformers. He had 33 goals and 31 assists in 82 games while leading the team with seven game-winning goals and 54 takeaways last season, all career highs. "I think it's now my job, right? I'm excited for it. I'm excited for the challenge that comes with that. I'm excited for an elevated role," said Zucker, who will carry a $5.5 million annual salary cap hit through the 2022-23 season. He'll make $5 million this season, $6.25 million in 2019-20, $4.8 million in 2020-21, $6.25 million in 2021-22 and $5.2 million in 2022-23. "We see Jason as being a big part of now and in the future. It's hard to come by goal scorers, and with him having a great year scoring goals last year it was our intention to get him signed," Fenton said. "When we look at the league now, we look at the speed that has started to dominate our game. He generates so many chances based off of his speed and his skill level." Fenton, whose biggest free agent signings were defenceman Greg Pateryn and forwards J.T. Brown, Eric Fehr and Matt Hendricks, held off on making any of the bold trades he helped engineer with Nashville when he was the assistant to general manager David Poile. No rush, Fenton said. "You have an opinion, but until you see it every day and you get to see what the mood is and what the character of this team is, you can't really make a fair assessment," Fenton said. "I'm looking forward to training camp starting and seeing what our players look like."